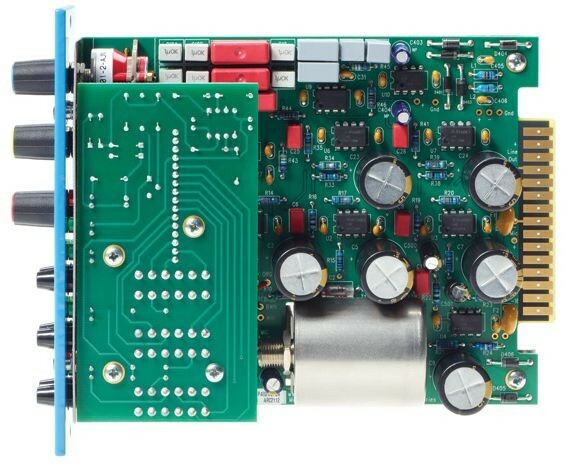 The PREQ4® (500 Series) is a one channel microphone preamplifier with AIR BAND® (shelf boost from 2.5 to 40kHz via VARI AIR™), compatible with the API 500-6B lunchbox® and 500VPR rack systems. Following its PreQ3 predecessor, the PREQ4 provides unparalleled transparency and top end presence while maintaining the true natural sound behind the microphone. Presented in the flagship lunchbox® portable format, the PREQ4® offers the legendary AIR BAND®, 65dB adjustable gain, phase reverse capability, 70Hz high pass filter, +48V phantom power, and -20dB PAD. The Maag Audio PREQ4® is an official member of the VPR Alliance. *Specifications	Value Max Gain	65 dB Frequency Response	-3 dB points, 10Hz & 75kHz Nominal Input Impedance XLR)	Mic, 150 Ohms, balanced Nominal Output Impedance (XLR)	50 Ohms, actively balanced Equivalent Input Noise	-128 dBu (-96 dBu Actual Metered Noise) Headroom	+27 dBu Maximum Phase Shift	25° THD + Noise	< 0.007% *Specifications subject to change without notice. **Recommend turning the GAIN fully counter-clockwise before engaging.